Combined immunostimulating drug of bacterial origin for sublingual (sublingual) use. It is a polyvalent antigen complex, which includes lysates of bacteria - the most common pathogens of respiratory infections. The lysates that make up the Ismigen® preparation are obtained by mechanical destruction of bacterial cells. 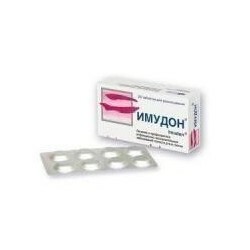 Ismigen® has a nonspecific immunostimulating and specific vaccinating effect. Ismigen® sublingual pills have an effect on various parts of the immune system. Stimulates both local (increases the concentration of secretory IgA) and systemic (cellular and humoral) immunity. 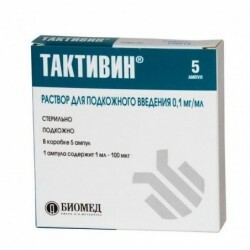 It activates phagocytosis, increases the content of lysozyme in saliva, increases the number of immune cells, increases the concentration of serum IgA, IgG, IgM and decreases the concentration of serum IgE. Increases the functional activity of macrophages (including alveolar) and polymorphonuclear leukocytes, which contributes to the destruction of infectious agents. As a result of treatment with Ismigen®, the frequency, severity and duration of acute infections of the respiratory tract are reduced; there is relief and leveling of symptoms such as fever, cough, shortness of breath, decreases the need for antibacterial and anti-inflammatory therapy; in patients with chronic diseases of the respiratory tract, the drug also prevents exacerbations. Acute and subacute infections of the upper and lower respiratory tract: bronchitis, tonsillitis, pharyngitis, laryngitis, rhinitis, sinusitis, otitis media, including complications from the flu (treatment as part of combination therapy). Recurrent infections of the upper and lower respiratory tract, chronic bronchitis (prevention of exacerbations). excipient: glycine - 43 mg. Excipients - microcrystalline cellulose 150.0 mg, calcium hydrogen phosphate dihydrate 35.0 mg, colloidal silicon dioxide 10.0 mg, magnesium stearate 3.0 mg, ammonium glycyrrhizinate 1.2 mg, mint flavoring 0.8 mg. Under the tongue; take on an empty stomach. The tablet should be kept under the tongue until completely dissolved. Sublingual pills should not be absorbed, chewed or swallowed. Acute and Subacute Upper and Lower Respiratory Infections - 1 tablet per day until the symptoms of the disease disappear (at least 10 days). 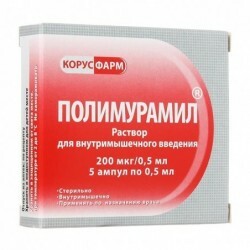 Recurrent infections of the upper and lower respiratory tract, prevention of exacerbations of chronic respiratory diseases - 1 tablet per day for 10 days. Preventive course includes three cycles of 10 days with 20-day intervals between them. Preventive course should be carried out no more than 1-2 times a year. When you skip the next dose you should not double it with the next dose. very rarely - less than 0.01%. On the part of the skin: very rarely - urticaria, impetiginous dermatitis, folliculitis. 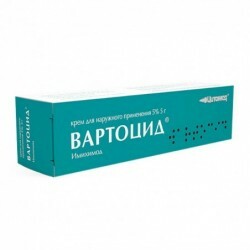 Other: very rarely - inflammation of the salivary gland, acute laryngitis, rhinitis. Ismigen can be used simultaneously with other drugs intended for the treatment of acute and chronic respiratory diseases. The peculiarities of the interaction of Immigens with other drugs have not yet been described. Children aged 3 to 6 years while taking each dose, before complete dissolution of the tablet in the mouth, should be under the supervision of adults. Information about cases of overdose are absent.